Fear not, friends. Fargo Fridays lives, and Tory Lanez has come through with a rare gem just before tonight's turn-up festivities. "Tim Duncan," of course, is a tribute to the always reliable Spurs legend, to whom Lanez compares himself because of the array of shooters he keeps around him. The track finds Lanez back in trapper's mode, though his careful melodic control is present throughout. The chilling backdrop, made up of a soft blend of pianos and chimes, comes from Chicago's C-Sick. 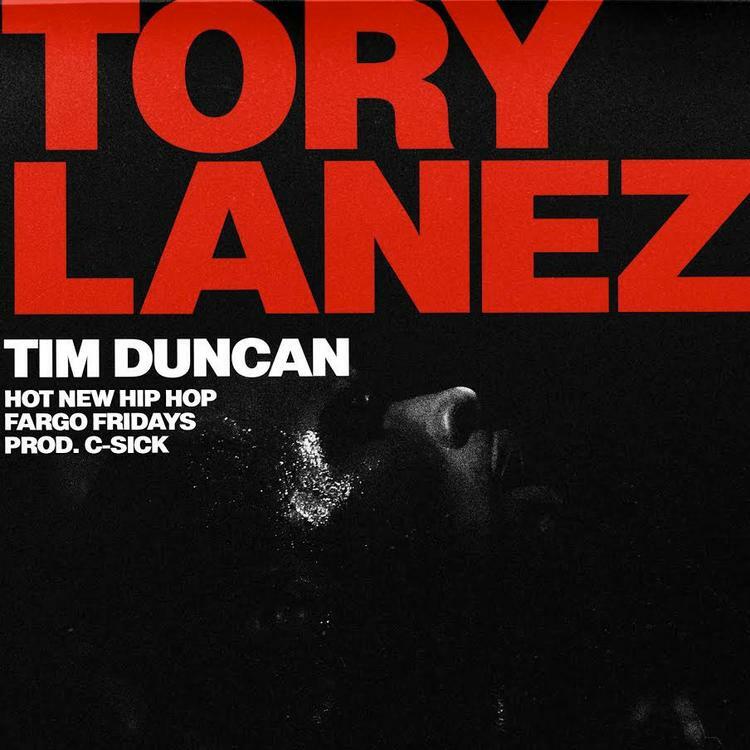 No one can capture this icy mood like he does, and "Tim Duncan" is his second recent collaboration with Lanez, following "Letter to the City," the final track on The New Toronto. After last week's "Uber Everywhere" remix, and now "Tim Duncan," Fargo Fridays are looking hotter than ever before.